Practice makes Perfect... All work and no play makes Jack a dull boy. These are just some examples of how simple everyday advice can conflict and confuse. We learn these proverbs from an early age and if you think about it, each one has another in place to contradict. In the same vein, there are 2 very contradictory ways that divers are are taught to dive a drysuit. A drysuit is essentially a sealed bag that we wear when we go scuba diving in colder waters. It prevents water from contacting the majority of our skin and therefore, alongside thermals, keeps us warmer than would a wetsuit. When we go deeper underwater and the ambient pressure increases, the air inside the drysuit (like in all air spaces) compresses and unless we add air, via an inflator usually found mid chest, the suit begins to squeeze our bodies, becoming uncomfortable. Equally, as we ascend, the air we have added to the dry suit expands and we have to be able to remove this air to control our ascent. This is usually done via a "dump valve" found on the arm or wrist. Pretty straight forward I hear you say... where is the confusion? This comes from the way certain divers are taught to use their dry suits. 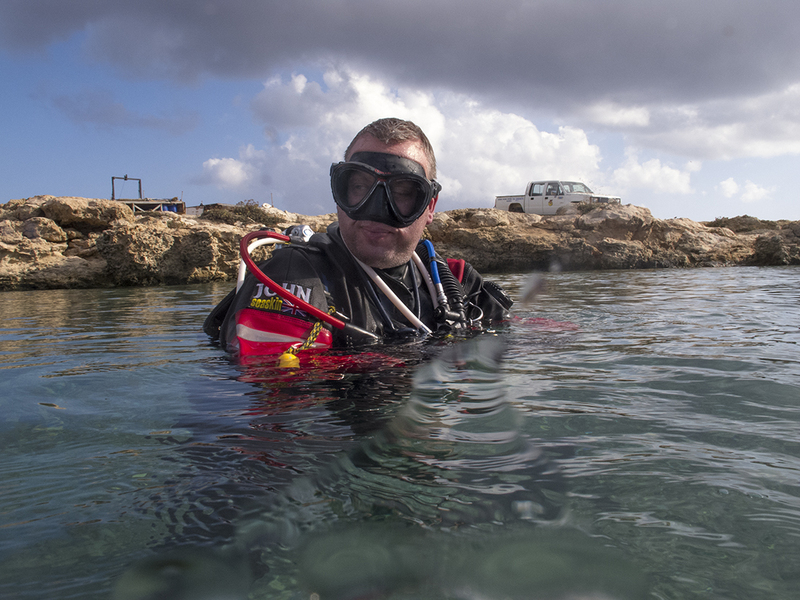 Many divers are taught that, when using a drysuit, this will become their primary means of buoyancy. This means that, rather than using the BCD or wing, everything is controlled with the drysuit. The premise of this appears to be that one set of buoyancy to control is easier than 2 lots of buoyancy. If something goes wrong and there is an emergency, it is easier to only have to concentrate on one set of buoyancy control and since we have to add air to the drysuit on descent, this is the winner. However, with that much air in your drysuit, you will find that you get air bubbling out through the seals. Even if you are correctly weighted, you will have this problem and if you are overweighted, you will be bubblier than a glass of Champagne at New Year! The result is constant re-adjustment of buoyancy as air is lost through the seals. You may also find it extremely uncomfortable, as there is more air moving around inside the suit, which can lead to less control in the water. 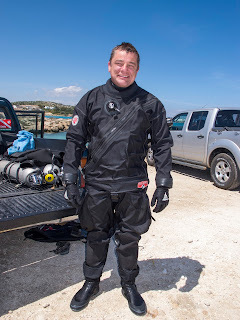 It is much more effective to just add enough air to the drysuit to take off the squeeze and then use your BCD to control buoyancy, as you would in a wetsuit. You will find that you should have much more control over your positioning, buoyancy and trim. If you don't dive a drysuit this way already, give it a try and see the difference. After all... Actions speak louder than words! Happy New Year to all our scuba friends and diving family from around the world. 2016 is finally here and to welcome in the New Year and another year of fun and frolics, we are making some changes in the Dive Centre. Don't get worried, we will still be offering the same high quality diving for you all but we are making a few changes to the building. For those that visited us in 2015, you will know that we took on a second shop for storage of our wetsuits, BCDs and DiveLime. Well, we are going one step further and making use of all that extra space. 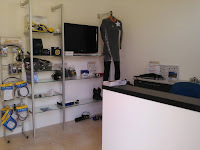 Step 1- Dive Centre Reception and Shop. This will be the new reception for our Dive Centre where you will be greeted by our smiling faces and fill out the necessary paperwork for your diving. 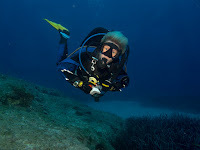 You will also find a selection of Diving Equipment for sale including; wetsuits, Miflex Diving Hoses, Shearwater Diving Computers, Regulators, Clips and accessories. Purely for servicing, this Workshop has put a smile on my face. I now have plenty of room for my tools and for all your diving equipment that needs that bit of tender loving care. Space for Regulator Servicing, Cylinder Testing and Computer Battery Changes, this is my own piece of heaven. Purely for the Cylinder filling and Gas Mixing, we now have plenty of space for all the tanks in their own room. Divers that have been to us over the past 6 years will know that this room previously held everything! I kid you not, this little room used to hold all our suits, BCDs, Rebreathers, Cylinders, Lime etc and it was also the Servicing Workshop. We wonder how everything fit into this room but somehow we managed. Oh, to have a bit of space! Now, this is a room that will be reserved for Oxygen and Helium, Air and Cylinders... and let's not forget our Haskel Booster that will always be welcome in our Diving Centre. Just behind the new shop, we will store our Rental Diving Equipment with extra space for your diving equipment when you come to visit us. This room is still under construction but we are hoping to have some nice benches built just around the corner where you see the regulators, where divers will be able to try on their wetsuits and boots in comfort and Luxury. Plus, we will have a charging station where you will be able to charge phones, tablets, torches and cameras ready for the day of diving ahead! Upstairs from the new Dive Centre Reception and Kit Room, you will find our new dedicated classroom. This is still under construction at the moment but should be up and running by the end of February. Some Items are already in place, such as our new classroom table, but imagine the work surfaces cleared and shelves put up for the educational materials. The White board will be installed plus a monitor for watching the DVDs and running power points etc. So, it is all very exciting here at Scuba Tech Diving Centre and I hope we will see you later in 2016.